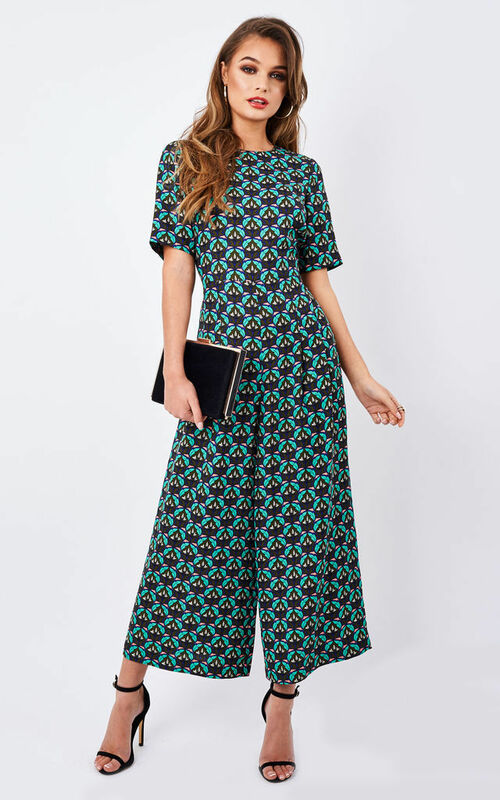 From workdays to special occasions and even interviews, this jumpsuit will see you through it all, plus it's easy to move in which means no fidgeting, just riveting. With its bold print and mature silhouette, you'll reach for this outfit whenever you've got somewhere to go and need to make a lasting first impression. With lighter fabric, you can still wear it in the warmer months without sweating your face off. Extra details include a peephole in the back, a concealed zip and culotte style. Colours that go great with this outfit for shoes and accessories are black, light pink and beige. The clothes you wear should make you feel confident with ease and this jumpsuit does just that. Measurements based on a size small.